If you were to generalise the food of central America, it would have to include beans and rice. Beans and rice are found in numerous dishes throughout the region, prepared in a multitude of ways. However, it does not do justice to the great variety of fresh food and tasty dishes that can also be found. 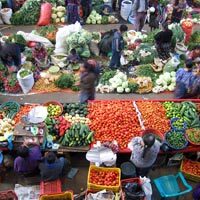 Below are links to discussions about the food availability and signature dishes form each of these countries in Central America.